May 6, 6:45 p.m. – 8:15 p.m.
June 10, 6:00 p.m. – 7:30 p.m.
June 24, 6:00 p.m. – 7:30 p.m.
July 8, 6:00 p.m. – 7:30 p.m.
July 22, 6:00 p.m. – 7:30 p.m.
August 5, 6:00 p.m. – 7:30 p.m.
August 19, 6:00 p.m. – 7:30 p.m. Hear stories from speakers who have been affected by distracted driving. April 20, 9:30 a.m. – 11:00 a.m.
May 18, 9:30 a.m. – 11:00 a.m.
June 15, 9:30 a.m. – 11:00 a.m.
Make-up classroom days are scheduled through the Student Portal. 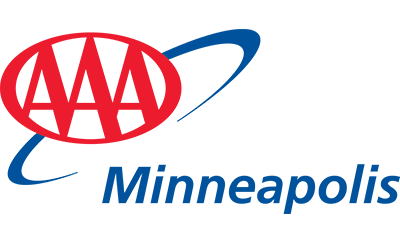 To attend a different Parent Night, please contact AAA Minneapolis Driving School. If a class day is missed, you may make up that day by attending the same class day in a different course. For example, if you miss class day number 3 of your course, view the dates available in the Day 3 section below. Please note: If a specific class/date is fully booked, it will not be available as a make-up class. Please log in to the Student Portal to view available dates and schedule a make-up class. Note: Students may only attend one 3-hour class per day. Monday, May 6, 5:00 p.m. – 8:15 p.m.
Monday, June 10, 9:00 a.m. – 12:15 p.m.
Monday, June 10, 1:30 p.m. – 4:45 p.m.
Monday, June 24, 9:00 a.m. – 12:15 p.m.
Monday, June 24, 1:30 p.m. – 4:45 p.m.
Monday, July 8, 9:00 a.m. – 12:15 p.m.
Monday, July 8, 1:30 p.m. – 4:45 p.m.
Monday, July 22, 9:00 a.m. – 12:15 p.m.
Monday, July 22, 1:30 p.m. – 4:45 p.m.
Monday, August 5, 9:00 a.m. – 12:15 p.m.
Monday, August 5, 1:30 p.m. – 4:45 p.m.
Monday, August 19, 9:00 a.m. – 12:15 p.m.
Monday, August 19, 1:30 p.m. – 4:45 p.m.
Tuesday, May 7, 5:00 p.m. – 8:15 p.m.
Tuesday, June 11, 9:00 a.m. – 12:15 p.m.
Tuesday, June 11, 1:30 p.m. – 4:45 p.m.
Tuesday, June 25, 9:00 a.m. – 12:15 p.m.
Tuesday, June 25, 1:30 p.m. – 4:45 p.m.
Tuesday, July 9, 9:00 a.m. – 12:15 p.m.
Tuesday, July 9, 1:30 p.m. – 4:45 p.m.
Tuesday, July 23, 9:00 a.m. – 12:15 p.m.
Tuesday, July 23, 1:30 p.m. – 4:45 p.m.
Tuesday, August 6, 9:00 a.m. – 12:15 p.m.
Tuesday, August 6, 1:30 p.m. – 4:45 p.m.
Tuesday, August 20, 9:00 a.m. – 12:15 p.m.
Tuesday, August 20, 1:30 p.m. – 4:45 p.m.
Wednesday, May 8, 5:00 p.m. – 8:15 p.m.
Wednesday, June 12, 9:00 a.m. – 12:15 p.m.
Wednesday, June 12, 1:30 p.m. – 4:45 p.m.
Wednesday, June 26, 9:00 a.m. – 12:15 p.m.
Wednesday, June 26, 1:30 p.m. – 4:45 p.m.
Wednesday, July 10, 9:00 a.m. – 12:15 p.m.
Wednesday, July 10, 1:30 p.m. – 4:45 p.m.
Wednesday, July 24, 9:00 a.m. – 12:15 p.m.
Wednesday, July 24, 1:30 p.m. – 4:45 p.m.
Wednesday, August 7, 9:00 a.m. – 12:15 p.m.
Wednesday, August 7, 1:30 p.m. – 4:45 p.m.
Wednesday, August 21, 9:00 a.m. – 12:15 p.m.
Wednesday, August 21, 1:30 p.m. – 4:45 p.m.
Thursday, May 9, 5:00 p.m. – 8:15 p.m.
Thursday, June 13, 9:00 a.m. – 12:15 p.m.
Thursday, June 13, 1:30 p.m. – 4:45 p.m.
Thursday, June 27, 9:00 a.m. – 12:15 p.m.
Thursday, June 27, 1:30 p.m. – 4:45 p.m.
Thursday, July 11, 9:00 a.m. – 12:15 p.m.
Thursday, July 11, 1:30 p.m. – 4:45 p.m.
Thursday, July 25, 9:00 a.m. – 12:15 p.m.
Thursday, July 25, 1:30 p.m. – 4:45 p.m.
Thursday, August 8, 9:00 a.m. – 12:15 p.m.
Thursday, August 8, 1:30 p.m. – 4:45 p.m.
Thursday, August 22, 9:00 a.m. – 12:15 p.m.
Thursday, August 22, 1:30 p.m. – 4:45 p.m.
Monday, May 13, 5:00 p.m. – 8:15 p.m.
Friday, June 14, 9:00 a.m. – 12:15 p.m.
Friday, June 14, 1:30 p.m. – 4:45 p.m.
Friday, June 28, 9:00 a.m. – 12:15 p.m.
Friday, June 28, 1:30 p.m. – 4:45 p.m.
Friday, July 12, 9:00 a.m. – 12:15 p.m.
Friday, July 12, 1:30 p.m. – 4:45 p.m.
Friday, July 26, 9:00 a.m. – 12:15 p.m.
Friday, July 26, 1:30 p.m. – 4:45 p.m.
Friday, August 9, 9:00 a.m. – 12:15 p.m.
Friday, August 9, 1:30 p.m. – 4:45 p.m.
Friday, August 23, 9:00 a.m. – 12:15 p.m.
Friday, August 23, 1:30 p.m. – 4:45 p.m.
Tuesday, May 14, 5:00 p.m. – 8:15 p.m.
Monday, June 17, 9:00 a.m. – 12:15 p.m.
Monday, June 17, 1:30 p.m. – 4:45 p.m.
Monday, July 1, 9:00 a.m. – 12:15 p.m.
Monday, July 1, 1:30 p.m. – 4:45 p.m.
Monday, July 15, 9:00 a.m. – 12:15 p.m.
Monday, July 15, 1:30 p.m. – 4:45 p.m.
Monday, July 29, 9:00 a.m. – 12:15 p.m.
Monday, July 29, 1:30 p.m. – 4:45 p.m.
Monday, August 12, 9:00 a.m. – 12:15 p.m.
Monday, August 12, 1:30 p.m. – 4:45 p.m.
Monday, August 26, 9:00 a.m. – 12:15 p.m.
Monday, August 26, 1:30 p.m. – 4:45 p.m.
Wednesday, May 15, 5:00 p.m. – 8:15 p.m.
Tuesday, June 18, 9:00 a.m. – 12:15 p.m.
Tuesday, June 18, 1:30 p.m. – 4:45 p.m.
Tuesday, July 2, 9:00 a.m. – 12:15 p.m.
Tuesday, July 2, 1:30 p.m. – 4:45 p.m.
Tuesday, July 16, 9:00 a.m. – 12:15 p.m.
Tuesday, July 16, 1:30 p.m. – 4:45 p.m.
Tuesday, July 30, 9:00 a.m. – 12:15 p.m.
Tuesday, July 30, 1:30 p.m. – 4:45 p.m.
Tuesday, August 13, 9:00 a.m. – 12:15 p.m.
Tuesday, August 13, 1:30 p.m. – 4:45 p.m.
Tuesday, August 27, 9:00 a.m. – 12:15 p.m.
Tuesday, August 27, 1:30 p.m. – 4:45 p.m.
Thursday, May 16, 5:00 p.m. – 8:15 p.m.
Wednesday, June 19, 9:00 a.m. – 12:15 p.m.
Wednesday, June 19, 1:30 p.m. – 4:45 p.m.
Wednesday, July 3, 9:00 a.m. – 12:15 p.m.
Wednesday, July 3, 1:30 p.m. – 4:45 p.m.
Wednesday, July 17, 9:00 a.m. – 12:15 p.m.
Wednesday, July 17, 1:30 p.m. – 4:45 p.m.
Wednesday, July 31, 9:00 a.m. – 12:15 p.m.
Wednesday, July 31, 1:30 p.m. – 4:45 p.m.
Wednesday, August 14, 9:00 a.m. – 12:15 p.m.
Wednesday, August 14, 1:30 p.m. – 4:45 p.m.
Wednesday, August 28, 9:00 a.m. – 12:15 p.m.
Wednesday, August 28, 1:30 p.m. – 4:45 p.m.
Monday, May 20, 5:00 p.m. – 8:15 p.m.
Thursday, June 20, 9:00 a.m. – 12:15 p.m.
Thursday, June 20, 1:30 p.m. – 4:45 p.m.
Friday, July 5, 9:00 a.m. – 12:15 p.m.
Friday, July 5, 1:30 p.m. – 4:45 p.m.
Thursday, July 18, 9:00 a.m. – 12:15 p.m.
Thursday, July 18, 1:30 p.m. – 4:45 p.m.
Thursday, August 1, 9:00 a.m. – 12:15 p.m.
Thursday, August 1, 1:30 p.m. – 4:45 p.m.
Thursday, August 15, 9:00 a.m. – 12:15 p.m.
Thursday, August 15, 1:30 p.m. – 4:45 p.m.
Thursday, August 29, 9:00 a.m. – 12:15 p.m.
Thursday, August 29, 1:30 p.m. – 4:45 p.m.
Tuesday, April 23, 3:00 p.m. - 6:15 p.m.
Tuesday, May 21, 5:00 p.m. – 8:15 p.m.
Friday, June 21, 9:00 a.m. – 12:15 p.m.
Friday, June 21, 1:30 p.m. – 4:45 p.m.
Friday, July 19, 9:00 a.m. – 12:15 p.m.
Friday, July 19, 1:30 p.m. – 4:45 p.m.
Friday, August 2, 9:00 a.m. – 12:15 p.m.
Friday, August 2, 1:30 p.m. – 4:45 p.m.
Friday, August 16, 9:00 a.m. – 12:15 p.m.
Friday, August 16, 1:30 p.m. – 4:45 p.m.
Friday, August 30, 9:00 a.m. – 12:15 p.m.
Friday, August 30, 1:30 p.m. – 4:45 p.m.
Thursday, April 25, 3:00 p.m. - 6:15 p.m.